The reports from the front have come in. What they capture will remain on show in Venice through November. Is the title, which oscillates between specific reference to a location and military terminology, really the best choice to describe committed architecture? It seems more important to establish where exactly the front line Aravena has in mind runs. Is architecture under cross-fire or, like the early-20th-century avant-garde before it, does it believe it is well out in front? None of this is clear. In the case of the front, one person may think of an advance position, another of the glitzy façade of a building. 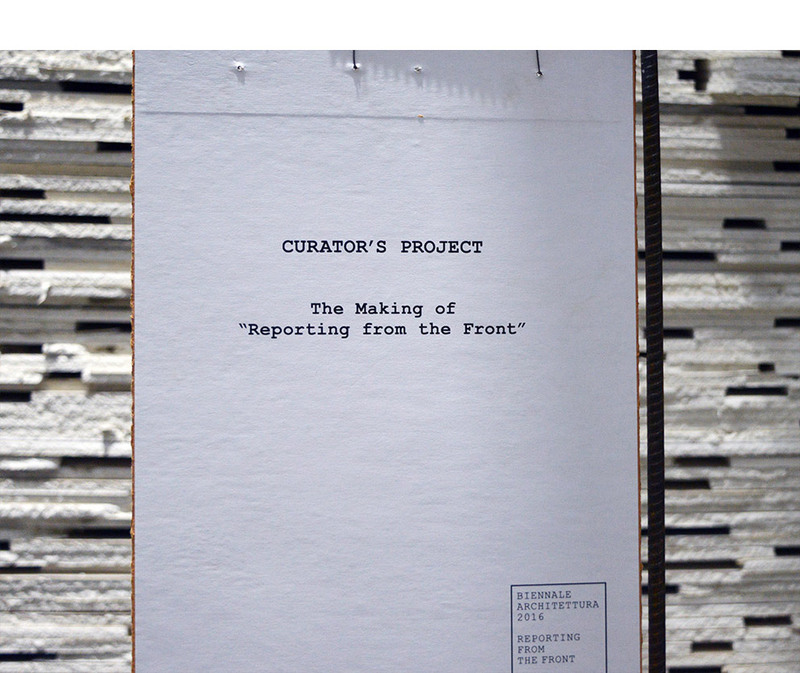 Show your buildings, that has always been part and parcel of the main program of an architecture biennale – and as regards “Reporting from the Front” they continue to take center stage in many instances. 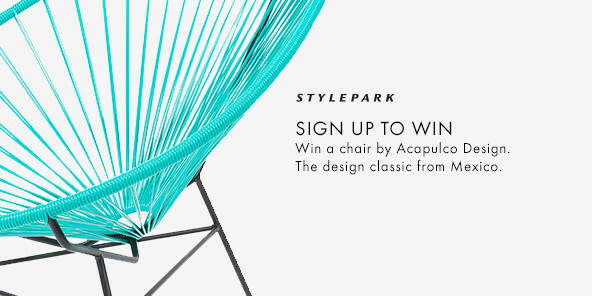 The temporary absence is evident of most of the star architects along with all their spectacular signature buildings that are just popping up somewhere or other round the globe – made for a lot of money from steel, concrete and glass – and this we can safely say will hardly impact on the everyday business. Aravena attempts to expand the perspective away from an in many regards rigid notion of architecture and draw the attention of the notoriously nomadic visitors, not to mention the architects, developers, investors and politicians, to a completely different kind of building, one committed to social needs. This at least attests to him having the best of intentions. The omnipresent ghosts of the brave new investor world along with big-data flows networked everywhere will hardly be able to strike fear into their hearts. The big players will swiftly regroup and continue to expand, and there can be no question of that given existing power structures. Perhaps it would have been better, alongside the often overly socio-romantic alternatives, to go on the front foot and address such architectures and the impact they have. Accordingly, this time we get to see encouraging approaches, mixed up with real projects and very promising plans. There’s much work done analyzing, researching, thinking and experimenting with how architecture would function that is a little slower and more caring, for once, that thinks beyond the commissioning date, that is worth its price, that is ecological and socially committed, and heeds the needs of its users instead of focusing on the RoI the real-estate fund garners. Often the examples stem from especially at-risk peripheral zones, but also (think “migration”) from centers whose stability is now threatened. And alongside all this there are the well-meaning visions of a “good architecture” that dreams of a better world with its head in the clouds. None of that will easily win the day given the interests of Capital. But nascent approaches exist and they could be taken up. Many people are concerned, not to say worried. That something must give or change, that there should be less social inequality and more cooperation – and this goes for just about everyone in Venice. The patchwork of alternatives gleams down at us in many colors from glossy posters. And any number of questions get asked, including many of the right ones. How can architecture initiate and support new forms of cooperation? Can the blockages in the triad of “Thinking! – Meeting! 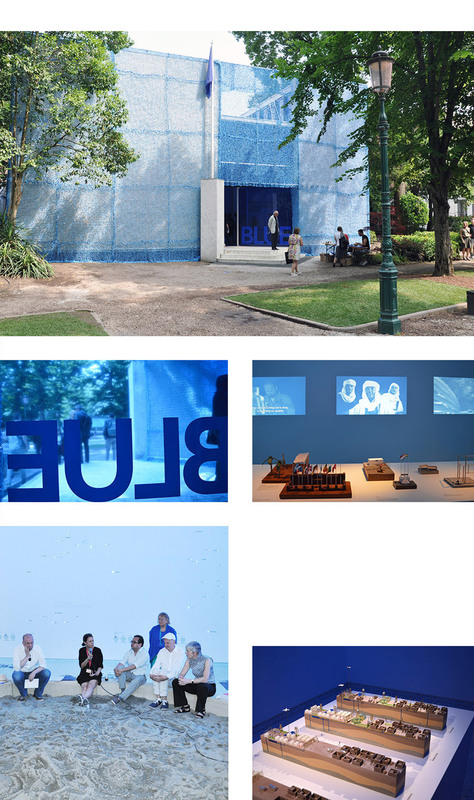 – Acting!” be overcome – so the wording in the Italian Pavilion? What remains of the architecture that we know? Can the future be planned and built in the first place? 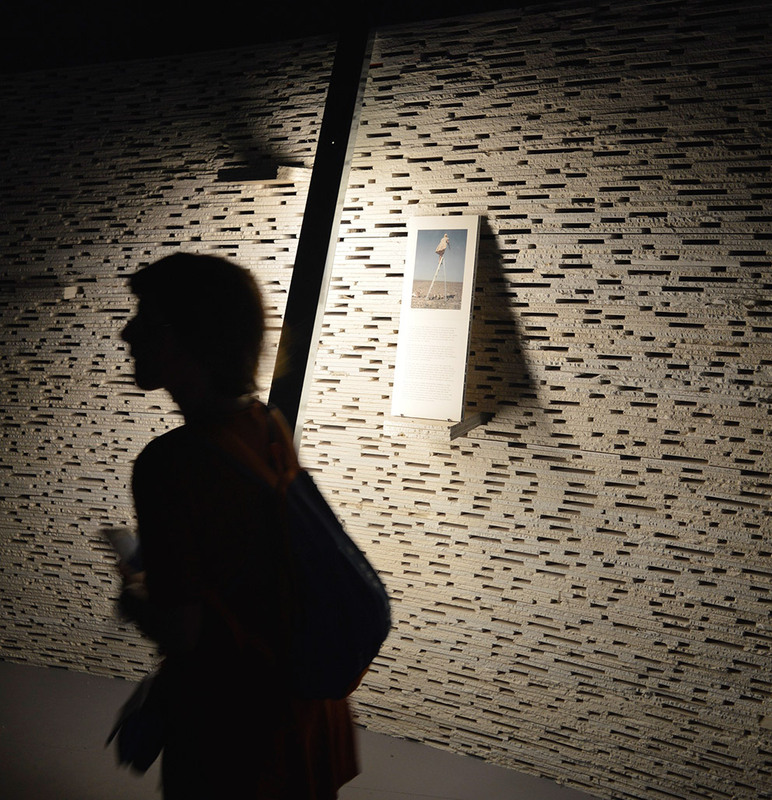 If one wanders round the exhibition curated by the Biennale director and explores the country pavilions, any number of which have gratefully and assiduously take up Aravena’s main theme, then two alternatives seem to emerge: whistle in the dark or get your own hands dirty. As an antidote to the omnipresent investor monotony this is essentially not a bad thing, but certainly by no means covers the existing spectrum of architectural efforts to handle everyday life. Quite apart from the fact that any kind of self-training and do-it-yourself spawns its own aesthetic. But this does not get discussed. Which is not only a shame, but also creates an objectively unnecessary opposition between social issues and aesthetic matters. It’s been a while since anyone devoted any real thought to the beauty of commitment. After all, once upon a time a completely different idealist, albeit not an architect, believed that the path to freedom could invariably only reach its goal via beauty. Let us nevertheless view a few examples from the wealth of those that enrich our knowledge – as an enjoyable after-taste for all those who have already tested the Biennale waters, and as a fore-taste for all those who have yet to head for Venice. Enlightenment is good, but its impact often limited: Taking as his title “Curator’s Project”, Alejandro Aravena has assembled some of the building residues of the last Biennale at the entrance to the Arsenale and at the Padiglione Centrale in the Giardini – forming them carefully into an installation. From the ceiling hang bent metal profiles, the walls consist of tons of stacked bits of plasterboard. It at least becomes clear here where the front runs: What tends to get thrown away certainly can be used to build something new. However, Aravena did not turn this into a reality in the main exhibition. He stops short – at the gesture. 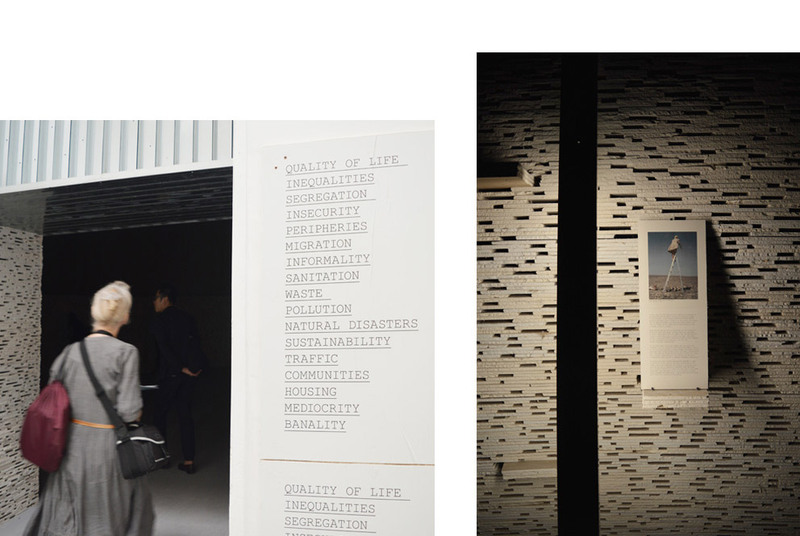 The list of words and concepts that Aravena has used to categorize the exhibition are aligned to the approach: they range from “quality of life” to “banality”. 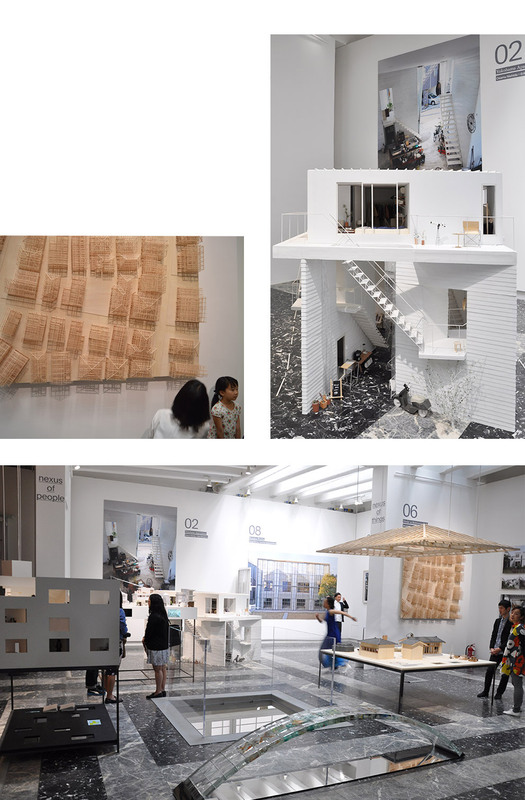 In the Swiss Pavilion Christian Kerez again seeks to rethink architecture differently, in order to build differently and enable us to experience spaces differently. His “Incidental Space” sets out to explore the possibilities that correspond to this technologically and in terms of our ideas. 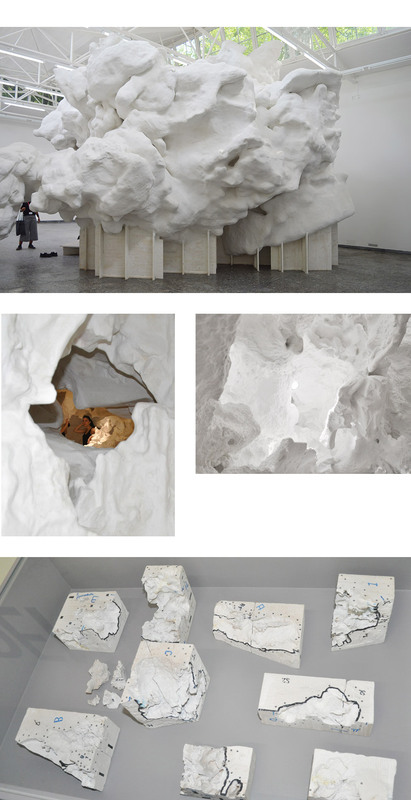 Based on an experimentally manufactured plaster cast, digital scans and various transpositional steps, this has resulted in a complex “atomized” space which expands infinitely on the inside, refuses to be visually deciphered, and does not represent something other than itself. In short: Kerez searches for a space that corresponds nowhere with what has hitherto been construed as an architectural space. However fun it may be to feel one’s way round this elaborately generated amorphous skin and find out that its voluminous exterior simply refuses to be grasped in its entirety by the eye – the result is actually nothing more than a simple metaphor for the act that even the greatest of effort can spawn modest results. The space itself is not new: It is basically a cave, albeit an artificial one. Or, considered from the outside, a cloud. At any rate, Kurt Schwitters would have swiftly erased the idea. Now this is a front where one can tarry a while. With a sense of Australian leisure. Bar the beer. 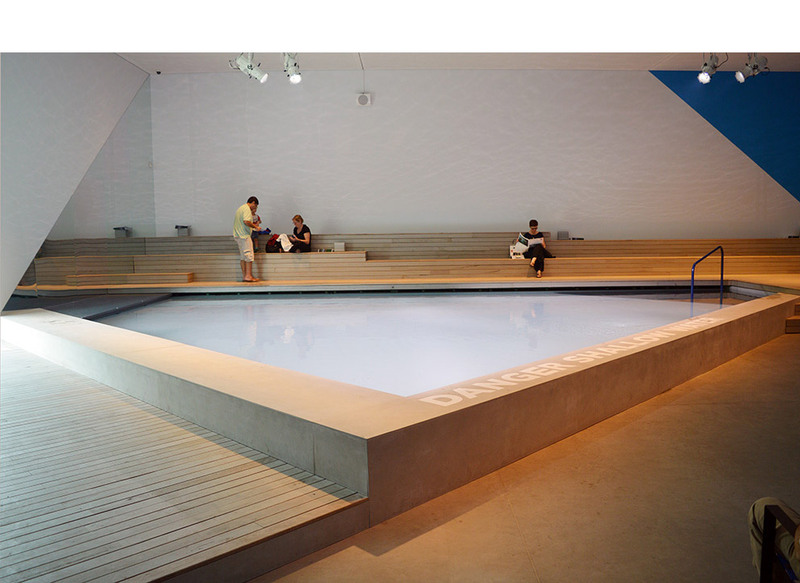 Aileen Sage Architects have actually inserted a pool into the new Australian Pavilion – it’s the first time it has taken the stage at an Architecture Biennale. Truly useful architecture. A pool need not always be built; many things can serve as a pool. In the wilderness, a watering hole, the former tributary of a river, or a reservoir can all do the trick; on the coast, a concrete basin or a cavity the tide has eroded into the rocks likewise. The proposal here is that a pool is always a place where the individual and the community meet. One can certainly enjoy being here. One meets others here. In total, eight pool stories get told. And there’s no stopping the kids when they see the basin: As soon as they have set eye on it they are in. Community can arise so easily in such a setting. In the Australian Pavilion at any rate. In the Belgian Pavilion it is the imagination that rules. One could even say that here Surrealism à la René Magritte thrives again in a media/architectural setting along with thinking about simple built elements. And it is truly a surprise. This is achieved with the “Bravoure” the title proclaims, demonstrated with 13 fragments from 13 buildings by 13 architects, simple design elements such as ventilation pipes or walls. But things got a little out of hand after all. Thirteen fragments, each presented as a triptych, or rather that was the idea. Or a view from three different perspectives. In fact, it is often four different angles: We can discern a photographic document, a real fragment and a text written by hand on the wall. Scattered in-between photographs by Filip Dujardin that create an unsettling game that is really surreal when combined with the fragments. The Dutch offer a real surprise, have actually headed for the front, and examine the architecture of UN peacekeeping missions. “Blue” not only lists the countries and bases of the various missions – as curator Malkit Shoshan also convincingly researches the many different ways the military bases, which cut themselves off from their surroundings by barbed wire fences, impact on the structure of the respective location – both when they are erected and when the troops withdraw – and that includes all the toxic materials left behind. The exhibition proposes that at least part of the UN bases be so designed that the peacekeepers and the locals get to know each other better. The form of presentation is not particularly intuitive and it takes a while until you grasp the concept. The curators of the French exhibition, Obras/Frédéric Bonnet along with the collective AJAP14, are interested in a new, unexpected form of riches. The countless projects are meant to show that it is not money that defines the value of something, but rather collective and social wealth arise from local resources, types of interaction and a democratically organized civil society. And in all of this (hey, we’re in France) the community of citizens or citoyens plays a key role. Now things get therapeutic. 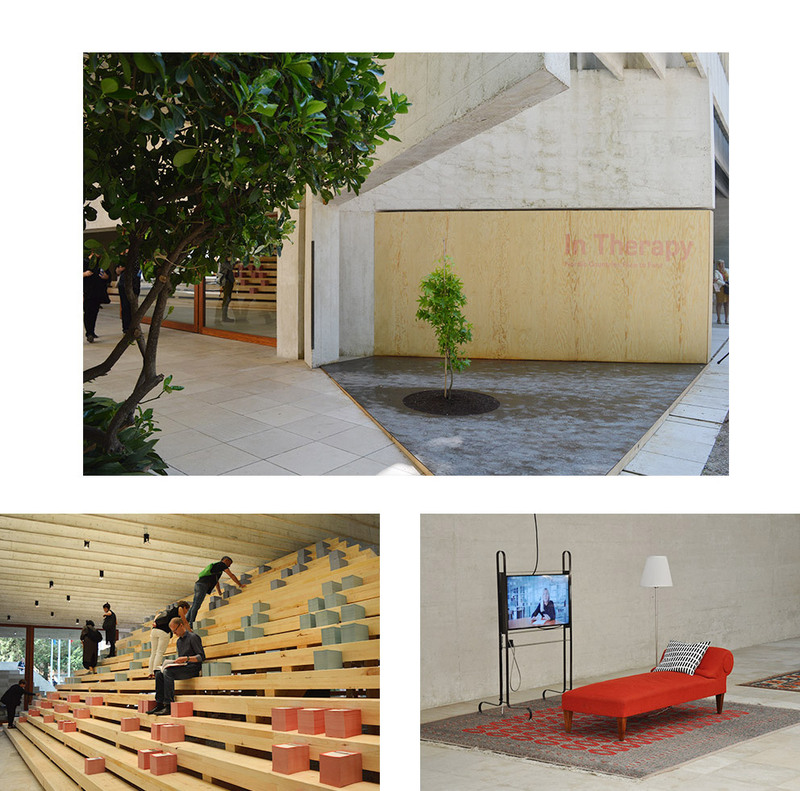 Would you believe it, “In Therapy: Nordic Countries Face to Face” is the overarching title of the show in the Nordic Pavilion. In the joint Finnish, Swedish and Norwegian pavilion, curated by David Basulto, the focus is on three questions: What was done? What is being done? And: What comes next? Projects have been selected from all three countries, with their specific differences in terms of history, culture and approaches to design – the exhibits are meant to embody a “Nordic spirit” in architecture. Which is all very vague. A preference for nature and culture both play an important part. Anyone not shy of climbing and really wanting to clamber up the huge wooden pyramid can in the process gather up sheets of paper in different colors describing the individual projects or the concept. Or simply recline on the couch and listen to what a “therapist” (sadly, he only addresses you from a monitor) has to say about the shared values and conflicts in the Nordic countries between architecture and society. Therapy, sitting or reclining, as you like it. 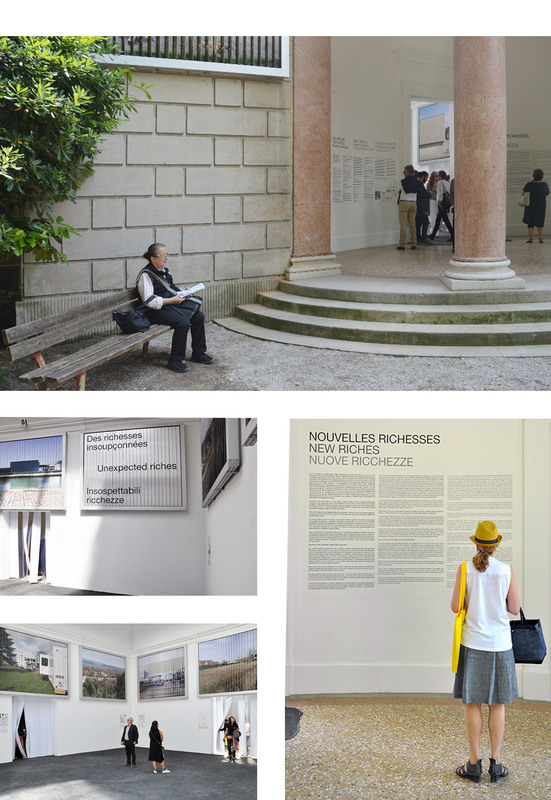 Biennales are places replete in verbal messages. Questions get asked and statements made. Both are simply a must. Images and plans would simply not suffice. And it is hard not to get the feeling that the result is often not much more than hypotheses, headlines, references and in part pretty banal ad messages. Slogans are evidently all the rage – in any age. Japanese society has changed in recent years. Unemployment, above all among younger sections of the population, has become a norm. The differences between the poor and the rich have increased – and the ghastly earthquake of 2011 caused far-reaching losses. In this situation, the curators ask how Japanese architecture has responded, how it has changed to address the challenges of the new era. The pavilion indicates what the answers could be taking examples of successful architectural linkages of people and things – all of them are very well thought out and marvelously designed, as one would only expect of the Japanese. So who actually does the building? Why do we so rarely talk about those who do the actual work? And who decides more what the result is, the architect or the artisan? In the Polish Pavilion curator Dominika Janicka heads for the home front of architecture, as it were. 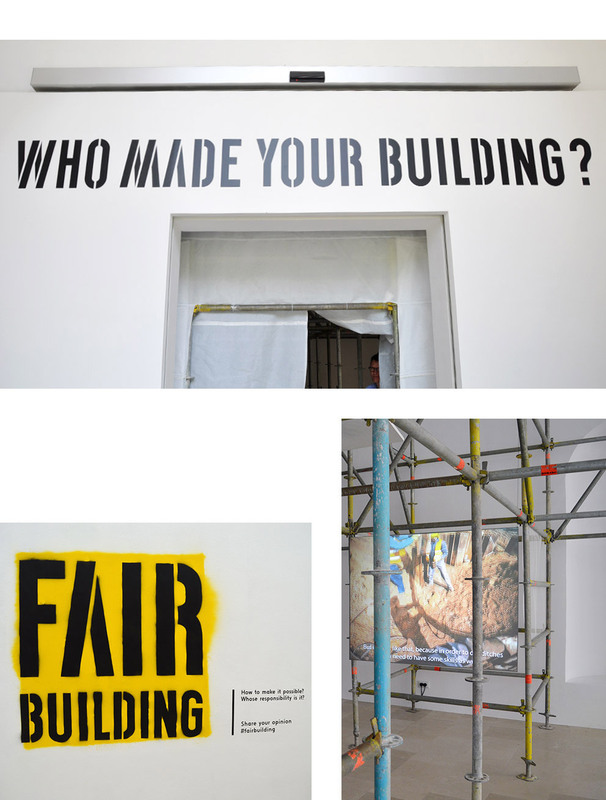 “Fair Building” directs our attention to the physical aspects of building, to the artisans and the conditions under which they work. And she rightly asks why on earth there is not yet a “Fair Trade” certificate for buildings.